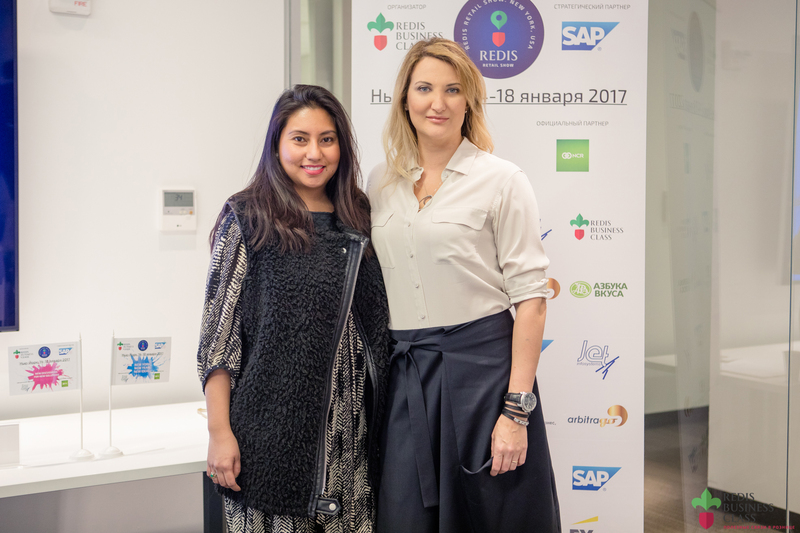 This January, similar to last year, we have had another successful set of meetings with senior management of top retail chains in Russia, organized by Redis Business Class in the partnership with arbitrago. While our last meeting was held in New York City’s headquarters of US Department of Commerce with several great guest speakers from 7/11 and Destination Maternity, among others, of the the highlights of the tour, as noted by members of delegation, was at the offices of Authentic Brands Group. There were a few hours of interesting discussions about Aeropostale, Marilyn Monroe, TapOut, Spider and other brands in their portfolio. As part of the annual USA retail tour, the event was organized in the partnership with multiple companies and arbitrago was honored to be among selected program partners, such as Ernst & Young and Boston Consulting Group. We look forward to another year building strong business ties together! 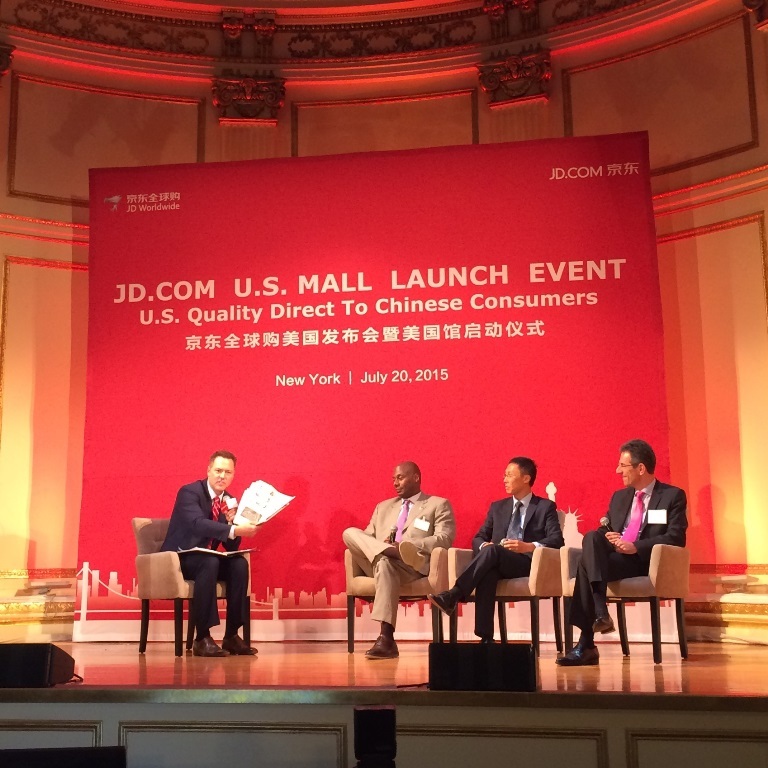 Yesterday, on Monday, July 20, 2015, China’s largest online direct sales company, JD.com, Inc. unveiled their launch of “U.S. Mall”, it’s cross-boarder platform, where Chinese consumers can buy authentic products that are imported from the United States. Main features that sets JD.com apart from its competitors – “Zero Tolerance” policies for counterfeit products and being #1 in terms of customer satisfaction. While delivering authentic products, JD.com offers almost an instant gratification from a purchase, delivering, at times, within 15 to 30 minutes after an order being placed! “Made in USA” products are experiences an increasing demand and Chinese online customers are buying American products at an exponential rate. U.S. exports into China in 2014 was totaling over 123 billion dollars, according to Alfred Goh, Senior Vice President & Global Head, Fast Growing Enterprises, DHL Customer Solutions and Innovation. 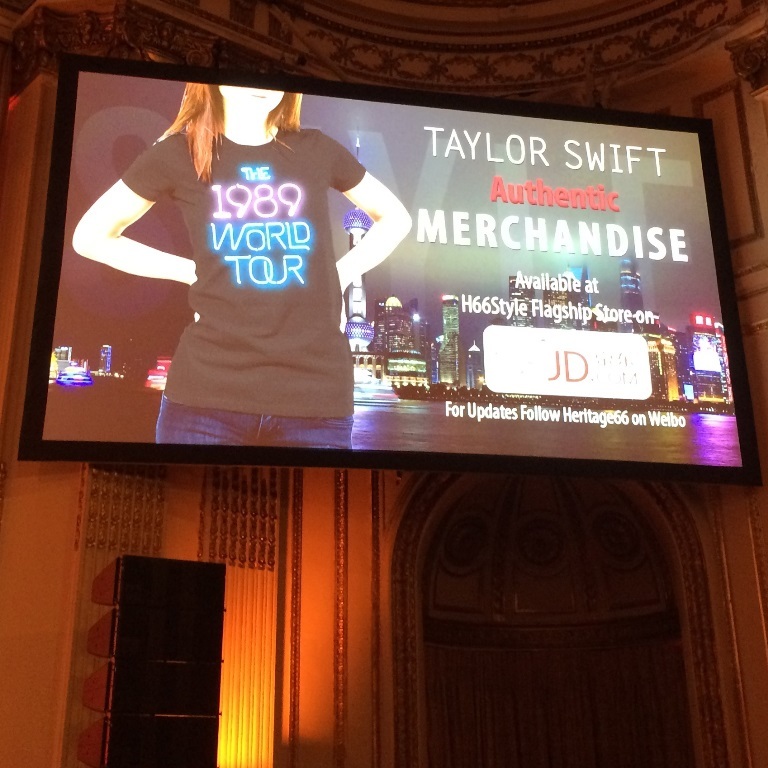 Mr. Richard Liu, JD’s founder and CEO announced that among other brand offerings, the company will be selling Taylor Swift’s clothing collection, designed exclusively for JD.com customers. 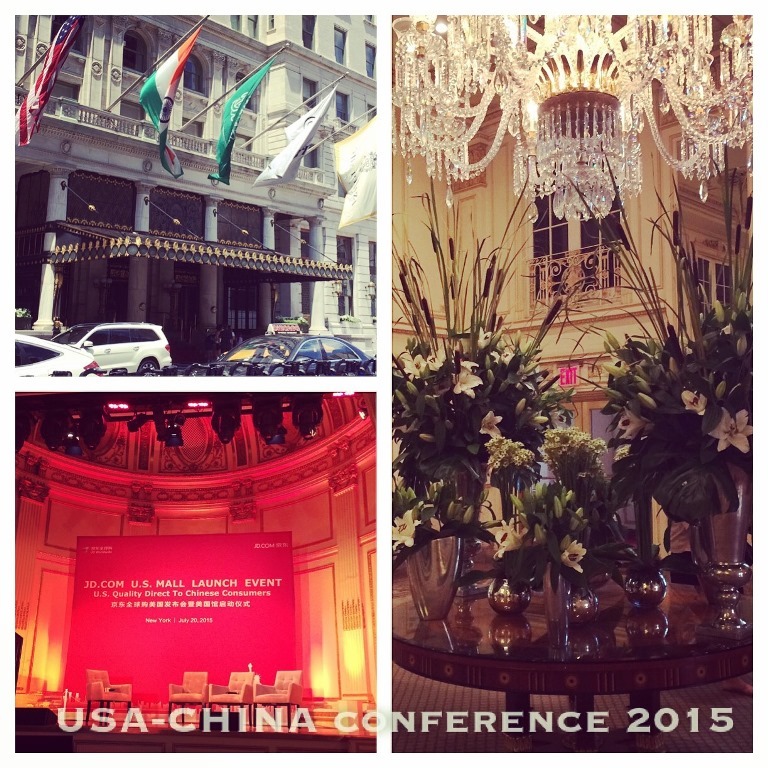 According to Mr. Liu, the new U.S. Mall will bring a variety of U.S. brands and products to the Chinese market in categories ranging from electronics, personal care and cosmetics, apparel and accessories, to baby care products and more. 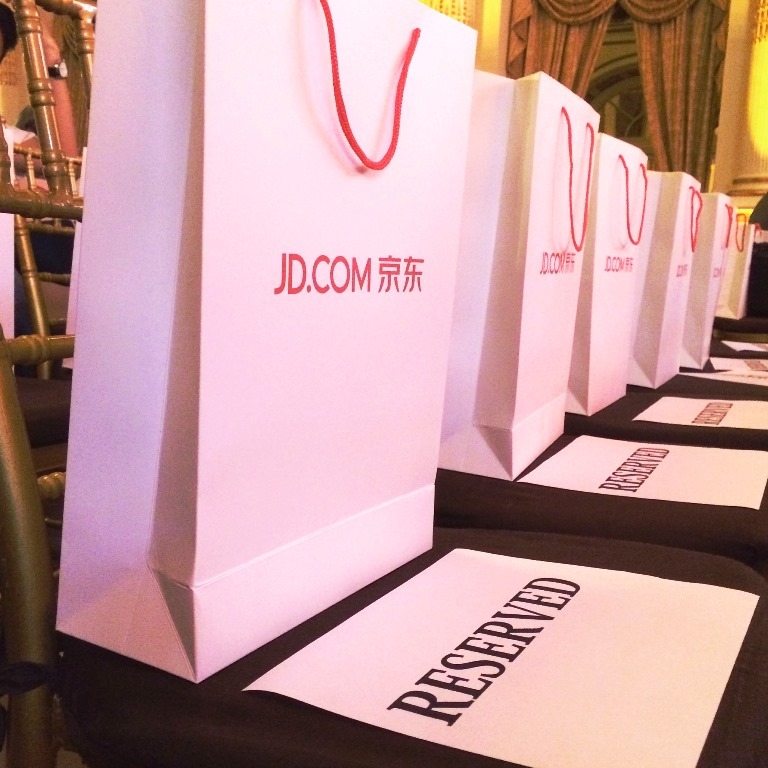 JD.com’s launch event was held in The Plaza hotel in New York on Monday, with representatives from major U.S. brands, specifically invited to the event. JD.com will also hold another business session for its partners later this week in Los Angeles, California. About: JD.com, Inc. (Nasdaq:JD) is the largest online direct sales company in China. 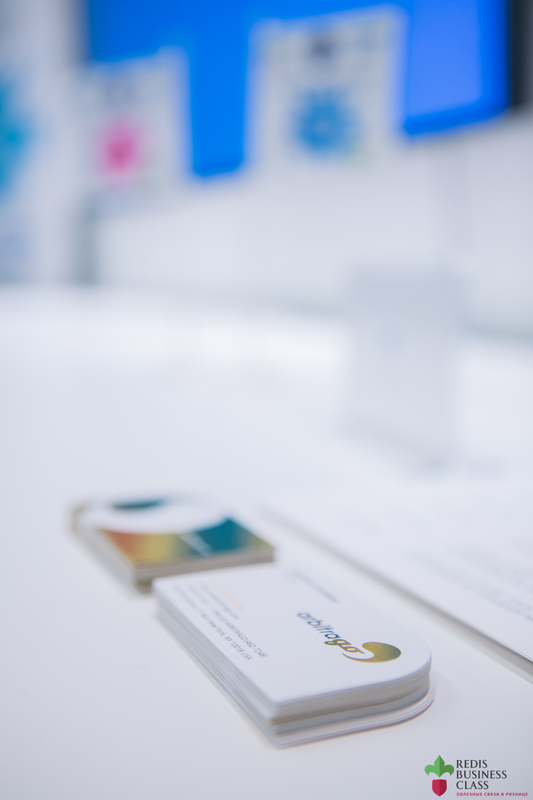 The company strives to offer consumers the best online shopping experience. Through its content-rich and user-friendly website jd.com and mobile applications, JD.com offers a wide selection of authentic products at competitive prices and delivers products in a speedy and reliable manner. The company believes it has the largest fulfillment infrastructure of any e-commerce company in China. As of March 31, 2015, JD.com operated 7 fulfillment centers and a total of 143 warehouses in 43 cities, and in total 3,539 delivery stations and pickup stations in 1,961 counties and districts across China, staffed by its own employees. The company provides standard same-day delivery in more than 130 counties and districts, and standard next-day delivery in more than another 850 counties and districts across China. Советы от декораторов по дизайну интерьера. arbitrago presents BAHIA STYLE Collection! NYFW recap for those who like to keep track. INTERIOR DESIGN: Decorators cheat sheets are shared with the world! On February 13th the U.S. Department of Commerce held a special round-table discussion on e-commerce in China with a leading company in the field. Arbitrago was among the selected 20 U.S. companies to attend this program that covered the e-commerce market, special commercial considerations, growth potential and local partnership with a Chinese partner. China’s online shopping GMV is growing at a CAGR of 29% and is expected to reach RMB 3,600B by 2016, representing 10.8% of total retail sales. Within online shopping, B2C Marketplaces gained momentum in 2013 and are on track to take 29% of China’s online sales by 2015. Due to the proliferation of smart phones, Mobile shopping GMV is expected to account for 9.2% of China’s total online shopping GMV by 2013. Apparel is still the leading category in terms of penetration among online shoppers (81.8%) and overall market share (26.5%). Menswear is definitely having a moment. New talent gushes forth like a stylishly attired Biblical deluge, and heritage brands as old as the hills are doing bigger business than ever before. While this is true across the globe, one could argue that the U.K. crucible burns the brightest. The British menswear industry has one of the richest heritages in the world, from bespectacled tailors stitching suits on Savile Row to rosy-cheeked harridans weaving heirloom tweed on the weather-beaten islands of the Outer Hebrides. Britain has been at the forefront of both textiles and tailoring for hundreds of years, and British subcultures—from Teddy Boys and Mods to Goths and Punks—have subverted global trends again and again. And more than ever that is exactly what a new wave of young British designers are doing. Names like Jonathan Saunders, James Long, JW Anderson and Katie Eary have all enjoyed the global attention that LC:M has enabled them to receive. Fashion East’s partnership with Topman on the MAN initiative and the British Fashion Council’s NewGen program have given new designers a global platform. So while Britain has its deeply seated sartorial heritage, it’s ironic that a program for young—and in many cases edgy—designers would draw the spotlight back to Britain, and in turn back to brands like Richards James and Gieves & Hawkes, who also show at LC:M.
LIKE US ON LIFEJOURNAL, FACEBOOK, INSTAGRAM AND OTHER SOCIAL MEDIA NETWORKS!